As always before I do my reveal and discussion of my new year theme, I like to reflect on the year past and what I learned from my enquiry over that year. In 2016, my theme was Chrysalis, envisioned as below because I felt I needed a protective place to recover, a suit of armour to prevent further damage and needed to be inward focused in order to get through another year of study, another year where I anticipated many challenges and much stress. It was a reactive theme, but even so I still put forward aims that I hoped would be part of the enquiry and part of what helped me to heal, you can read about how I originally imagined Chrysalis back in January of 2016. So now, in January of 2017, where do I think my past year of enquiry has taken me? What happened, what did I learn. What will I take forward and what will I let go? Reflecting on this theme, I think what I got from Chrysalis is exactly what I needed: comfort, peace, healing, protection, love. I spent the year reinforcing in every way I could a recovery of my energy, rebuilding of my resilience, and letting go of some of my perfectionism to make way for simply trusting that things would happen – like dinner on the table when I was in the depth of study doom. It was a year where it sounds like I was selfish and that’s true, but it’s the selfish of desperation where I had very little left I could pour out and give – I’d exhausted myself and everything inside of me to get to the end of 2015. Things that contributed to that state included my study, partner illness and financial stress. To share a little more, I am studying a demanding degree course in Midwifery, which I love and am passionate about – but it is one long push, there are few lulls and it is demanding intellectually, physically, and emotionally. Being realistic about that doesn’t make me love it less or less committed to being the best midwife I can be. It’s no secret that one of my live-in partners has been in the depths of mental-health crisis for the past couple of years and this has taken its toll on him, but also on Fox and I as we do our level best to support him, protect him, and encourage anything that draws him out of the depths of it. The best outcome for 2016 was a dramatic shift in his mental health and while it’s certainly a massive relief to see, and we all hope that it will continue onward and upward it’s not a magic wand and there’s a lot of work and time before I think he can look back and say ‘This is behind me’. Right now he can say that he feels like the worst has passed – that feels true for Fox and I too. Which brings me to that other stress point – we’re still on one income predominantly. Over the past twelve months I did some part time work which eased the pressure for most of the year. Fox has continued to be our breadwinner, he’s stoically dealt with the awfulness of his job and company that has steadily declined in all level of satisfaction. The likelihood of redundancy looms ever stronger and we’re doing our best to hold out for that as a means to give ourselves the best buffer and chance to weather a change in job and income. Fox’s dedication as a provider is incredible as is his own commitment to his mental health, which has improved slowly and steadily over the years since he first started tackling this. I’m so proud of him, so grateful to him and I can’t wait to repay his faith in me and my studies by giving him the chance to pursue his own studies. So finances still sucked but they sucked a little less, and we made as good a use of that as we could – we didn’t need to be so strict on meal planning (that will be a necessary change this year), we could get takeaway on occasion and did so at several points where ‘too hard’ hit. But that has been hitting less and less as Bat has recovered more mental health and capacity. There is less worry and so work happens more evenly distributed and support flows more freely in all directions. Bills were paid, we had some disposable income occasionally. I was able to invest in some training to go with my Midwifery studies that will hopefully set me up to be an attractive graduate candidate when I apply this year for a position for 2018. All the ways in which I dedicated energy to self-care, to recovery and resilience paid off, for me but also our family. We’re all in a better position personally at the end of 2016 to go into 2017. One of my big realisations for 2015 was just how much reading for pleasure grounds me, and is a self-care mechanism and stress relief rather than simply a luxury. I’d spent most of the first two y ears of my study feeling guilty for still reading fiction and then I learned that it’s a small and regular thing I can do to look after myself and enjoy my days and weeks. So I made that a priority for last year, and letting that joy be there for myself rather than worrying that I should be studying was so helpful. I read some amazing books (my favourite books of 2016 post is still pending, but I’ll edit and link when I’ve posted it). I loved reading and reviewing this year and I exceeded my reading goals in lots of ways – and there’s still room for improvement in others, as it should be. We’re never done, there’s always more room to grow and more to learn. 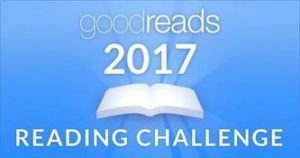 You can read more about my reflection on last year’s reading goals if you like, or see what my goals are for 2017 in reading – I won’t rehash them here. In short: read books, review them, especially books that are diverse in important ways, and books by Australian Women Writers. Try and read 75 books in the calendar year. I also listened to my favourite podcasts and I looked for ways that I could keep listening even when I wasn’t working. Favourites continued to be Galactic Suburbia and Fangirl Happy Hour, and I continued to really enjoy Tea & Jeopardy. New favourites include Sheep Might Fly, Magical Space Pussycats, and in non-books and fannish areas, Acts of Kitchen and The Birth Hour. I also fell in love with the Booktube channel Books and Pieces, I highly recommend it. I managed several really great walks (and Pokemon Go was great for this as well) while listening to podcasts, which was a happy goal to achieve. Plus, I’ve also gotten to a point where some of my general online productivity like organising recipes or sorting stuff etc can be done to a podcast background so I’ve stayed mostly up to date and in love with the voices and conversations of intelligent women, who are so switched on and aware, so emotionally present and generous. This kind of listening brings such joy to me. There were a few other media things I did to contribute to self-care and taking time out. I played games and in particular enjoyed Stardew Valley, No Man’s Sky, Pokemon Go, and Armello this year. My favourite movies were Deadpool and the new Ghostbusters, pretty equally, although I also really loved Zootopia too. With music, I set up a Pandora radio station for Hamilton and other Broadway musicals so that I could have background music that mostly made me feel better about the world and let me relax and think about the stories the songs were telling. Like a large percentage of the rest of the world, I unexpectedly fell in love with the Hamilton soundtrack and listened to it time and again over the months in the second half of the year. I think Lin Manuel Miranda is a gift and should be celebrated. I just want to do well. I want to do well, I want to learn. I want to be the best midwife I can be. I want to regain my confidence on prac. This area is one in which I’m particularly proud of the outcomes. I excelled academically in 2016, beyond even my high expectations of myself. I worked exceedingly hard for it too and I’m so pleased that paid off. I also went back to prac and it went well. I achieved that aim too, to regain my confidence in my practice and to do well in my clinical placement. I’ve also started asking for and collecting recommendations and I’ve been doing additional workshops, seminars, conferences and courses to supplement my study as part of my efforts toward applying for a graduate year position. They’re competitive and I’ve my sight set on one in particular (I have yet to work out my second and third preferences) so I’ve been working hard already to achieve this. I also had my halfway mark assessment, and it went well, and I’m feeling confident in my ability to prepare for my final assessment at the end of 2017. I went into 2016 still so passionate about Midwifery but feeling shattered and uncertain. I have emerged from the year with a greater consolidation of experience and knowledge, as well as an even greater passion for midwifery. Calling. Vocation. I never though those words would be ones I could really identify with and yet, more than ever I feel this. I did so much better with this area of focus in 2016 than in previous years and I think the shift in making it about care as much as development helped with that. I wanted to grow, but I didn’t want to push myself in to painful spaces when it was obvious to me that I needed to draw in energy and seek out joy and connection, love, and comfort. Through that focus I did grow and learn. My confidence returned and grew. I’m more sure of myself in conversations and my opinions and ability to contribute meaningfully. I worry less about perception (in some ways, in others this is still a work in progress). 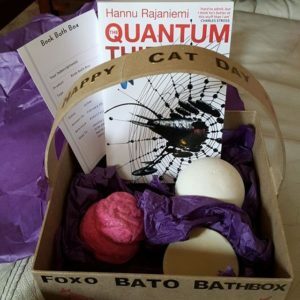 I had the best birthdays this year, Bat and Fox made it perfect for me with the most thoughtful gift – a Book Bath Box subscription, and because that would arrive months away they also made up their own version to give me on the day! So sweet! They spent the day quietly hanging out with me and cooking me an incredible birthday dinner – pork belly with caramelised pears on silky potato mash and a brownie cheesecake birthday cake dessert. It was perfect! So relaxed and peaceful, I slept in, there was no stress and I felt whimsical and full of love the entire day. I wanted a better year for my partners and I do think we all got it – although there were still so many hard things about the year, so many ways in which we just needed to dig deep and focus on the fact that we love each other and would somehow make it through as a starting point. 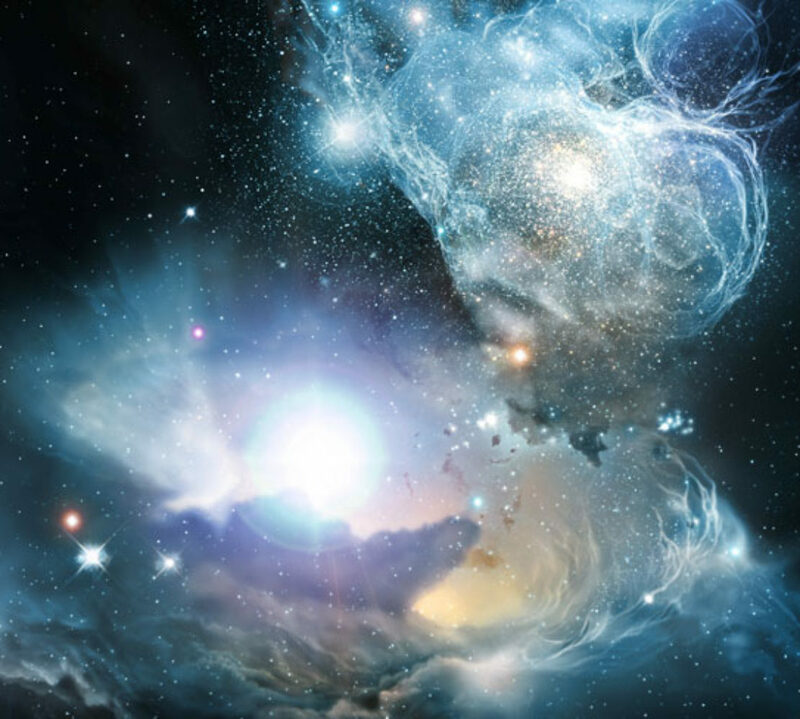 I do recommend that as a starting point by the way because if as a fundamental assumption that has shifted, then a different conversation may be necessary. But I love my partners, I trust them and I value them. I feel loved and trusted and valued. This is especially true of my partners whom I cohabit with, where we’ve created a little family for ourselves. But my other partners are just as important in different ways and I love and value them for what they bring to the world and my life too. I trust that I bring them good things to their lives as well. There are a number of partners and close friends, chosen family who I wished I could have seen more of throughout the year – and yet energy and time where in short supply. It was also a hard year for some of them and I know this impacted on us being able to make time and scheduling work. My platonic romantic partner and I spent quite a bit of time together, mostly in quiet conversation and having lovely cheap dinner dates in the city – spending time and keeping each other feeling sane and cared for. She had a hard year and I hope that what I could do to stand behind her helped. I did get to spend time with two of my Perth partners who came over and that was wonderful and messy and I’m so glad – even though I was in the midst of semester so it was also hard. But right now, there is no ideal time. We made it work. Overall with people and social, especially partners I did the best I could but I wish I’d have managed more somehow. 2016 marked another year where I didn’t get to see my longest term partner, K. Our 19th anniversary came and went and I missed him more than ever. We’re starting to make determined plans for our 20th anniversary together because even with crappy finances, somehow we will make this happen. K has been one of the most integral parts of my life for about a third of my life and no matter how things shift and change for us, he remains one of the most important people in my life, and someone who’s happiness means the world to me. I know that I mean similar things to him. I did have a year that was more social than the previous one, and it was part of my extrovert self-care mechanisms I put in place. I attended our local science fiction convention Continuum and has the most wonderful time, it was seriously one of the best things I did this year. Followed by my trip to Apollo Bay with a friend where we cooked, and explored and lounged for a week – it was great. 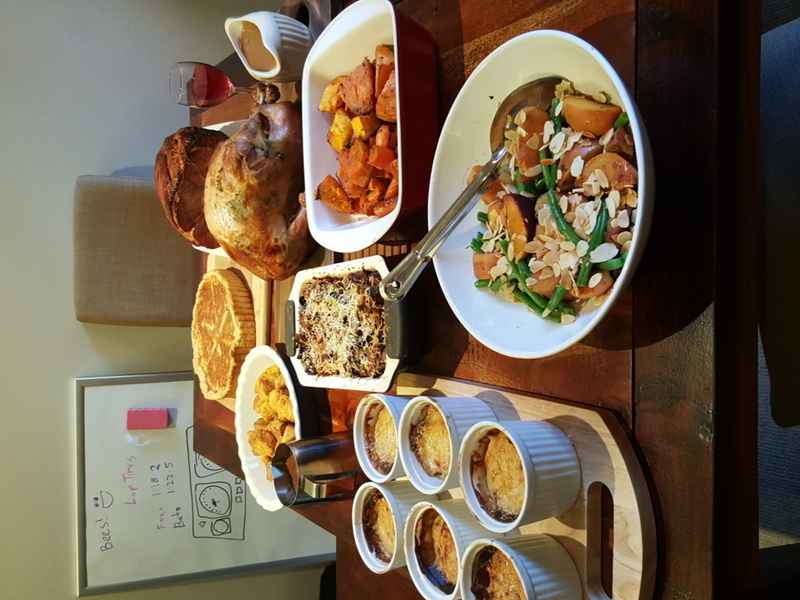 I organised with chosen family members to do semi-regular dinners and host them so that I could soak up the social time, but have it be easy and love filled and not a struggle at all. I did regular vid chats with @dilettantiquity which was wonderful for both of us in several ways and was one of the our mutually most successful aims for 2016. I did several more frequent chats with others who are far away and that meant a lot to me too, I want to continue that in the new year. My health was mostly very good, pain and strain were well managed. Reflux stopped being an agonising problem and is well managed. I had some reproductive health issues but thanks to our wonderful public health system, they’re all taken care of. I judiciously applied bravery, reward and lots of care mechanisms to deal with the emotional and anxiety strain these issues posed and I came through it all really well. Pokemon Go deserves the most credit for me improving my activity levels, I enjoy wandering and will quite happily do that for several kilometres in order to catch the little monsters or hatch eggs. It’s low key, easy and satisfying and I value that ease as much as the compelling fun nature of it. 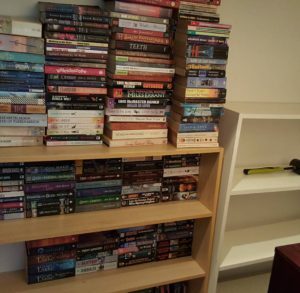 I did declutter and organise my physical things better (I need to revisit some of it as it got away from me in the last part of the year). I obtained some second hand bookshelves and unpacked my books (still a work in progress, one shelf needs stabilising). I also enjoyed more of Melbourne in tiny and cheap ways that brought me a lot of joy. I walked along Southbank several times (in part because Pokemon). I wandered through the city and admired how beautiful Melbourne is. I went to several Wheeler Centre events and marvelled at the speaking programs they have and the way I think it contributes to our city and people overall. I blogged throughout the year – here less so than I hoped but I did manage to keep things up reasonably. I maintained my 5 things habit throughout the year, although I have decided to change it going forward. 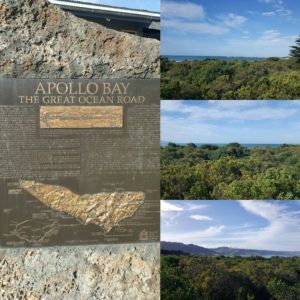 My blog is as important to me as reading and I value having spaces to chronicle, to write and share with people that are more thoughtful than the immediacy of social media. I didn’t get to any different cities in 2016, we’ll see if that’s different in 2017 – finances say doubtful. I didn’t get my license either, this still hangs over my head. However now that I’m in a better mental space than I have been in two years it looks like it is vastly more possible than it has felt for ages. I’m just trying not to use this as a stick to beat myself with. I will get there. I will. Eventually. The framing for this was trying to maintain things that worked to take stress out of decision and uncertainty. To reduce the cost of food, but to eat well and enjoy the meals we have together. I wanted to maintain my enjoyment of cooking and not have it be something that always felt like a chore. This was successful overall. Meal planning fell largely by the wayside in any formal way, but we did try new things in that vein and they have potential. The repository of recipes is more accessible and easy to navigate by people other than me. Fox did a bunch of cooking, including for Bat’s birthday dinner and did a magnificent job all year when it was his turn. Bat is cooking more and we’re back to enjoying trading cooking between us and sharing it as the joy it has been in the past for us. We had people around regularly and good food was always a part of that and we all enjoyed that massively. Low-key dinner parties are our favourite social events to host and sharing great food with those we care about is enjoyed by us all. Fox remains enamoured of our BBQ which continues to be adorable. We hosted Christmas with chosen family and a friend this year, it was our turn – 3 years in, it’s officially a tradition now! We over-catered and went way over-the-top for our feast, it was glorious and a massive undertaking that paid off. The inset photo is of the feast at the time of serving before we devoured about 5% of it. Much of our ‘make-from-scratch’ things like stock and bread fell entirely by the wayside – we ate more pre-prepared stuff in general. But I was busier, made less decisions and organised less. And we still got fed, there was still delicious food and it was good for me to let go in this way and trust the others and let them figure things out so I could concentrate on work and study priorities where they impacted on my ability to do household contributions. I was successful in abdicating adulthood at various points when it was necessary and being supported by my partners in this. It was important and necessary (and hard to do) but worth it. Chrysalis was a year that I wanted to focus on care, recovery and resilience. It was that for me. I got all of this in so many ways – expected and unexpected. The letting go and simply trusting in my partners and the people around me was a valuable lesson, and one I want to take forward. I still think that my expectations of myself when I read over my planning from the beginning of last year was too demanding, wanting too much of my finite energy, time and skills. That too was a lesson – and I know amongst those I am close to that this I am not alone in this trait. I spent the year re-framing things so as not to beat myself with sticks. The point is not to punish myself for failing to achieve all the myriad things I wanted, or for forgetting things or cutting corners. Actually the point was to learn that the sky doesn’t fall when you do these things and in some ways, it turns out even better emotionally and in the final results. I am grateful to this theme, it has been a gift and an inward focus that I’ve consistently put energy into. And in all the other ways I achieved what I put in, that was true with this enquiry too. 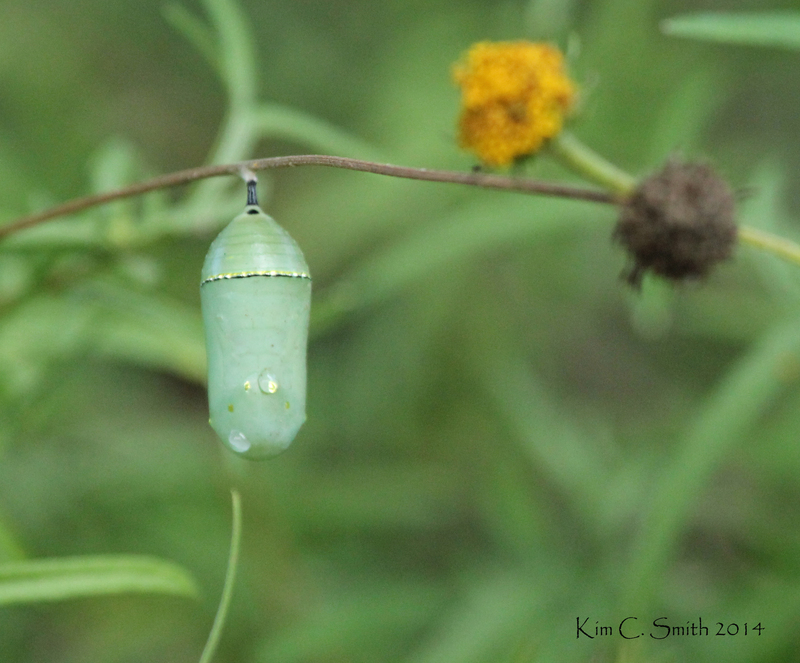 And now with this reflection, I can draw a line underneath Chrysalis and move on from it’s protective shell. It’s time to move properly into 2017.